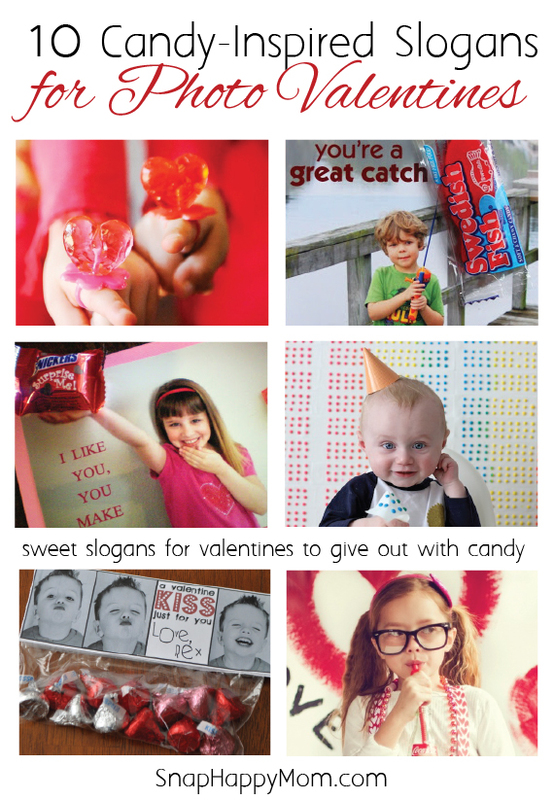 Check out these cute slogans for your Valentines this year. Consider buying your candy off amazon – it’s way cheaper and easier than driving from store to store to find enough! 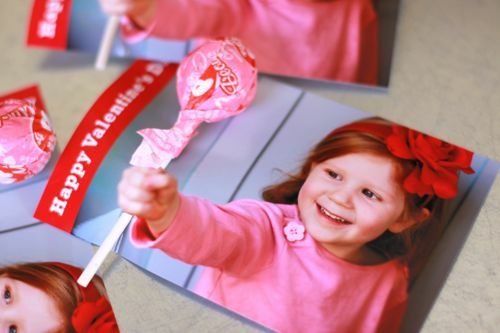 Create an easy photo-booth style collage of kissy faces from your child, or a photo from each of them. 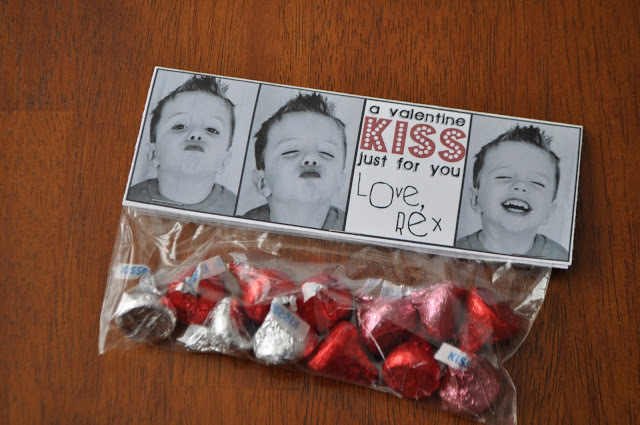 Use it to top off a bag of Hershey kisses for an easy Valentine! 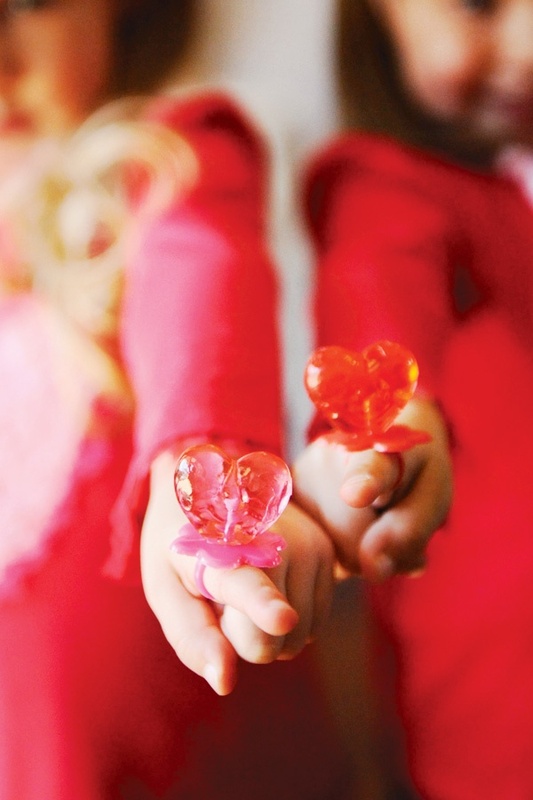 Ring Pops are well loved by all. 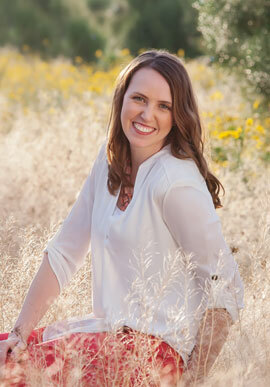 Have a fun photo shoot to let your child enjoy them too! 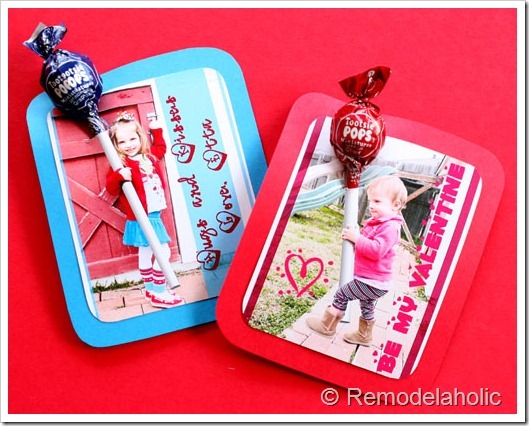 Here’s a full tutorial of how to make 3D Lollipop Valentines! This last option actually involved letting those girls carry around some pieces of PVC pipe, for a different look. I imagine it would work well if your child is too young to make a fist on command for a photo. 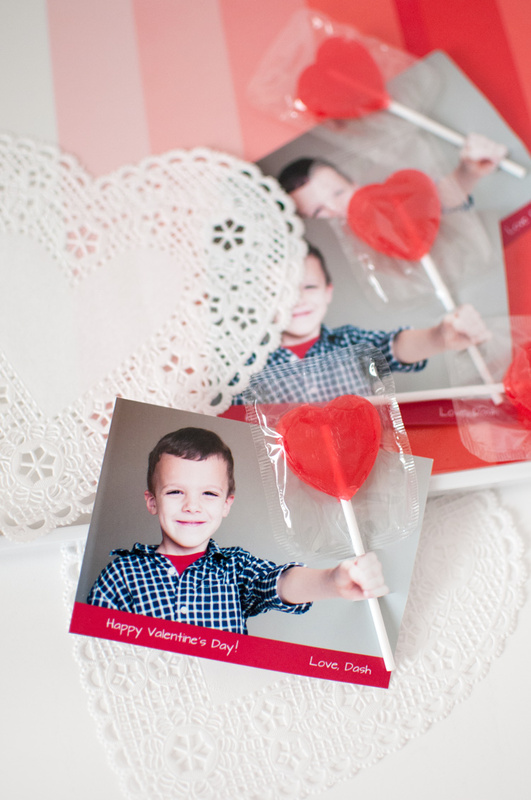 Take some adorable pictures with a button backdrop, and add “cute as a button” in a sweet font. Attach to a strip of button candy! This is a different take on the above idea. What’s cuter then a little girl giggling? How cute is this little rockstar? 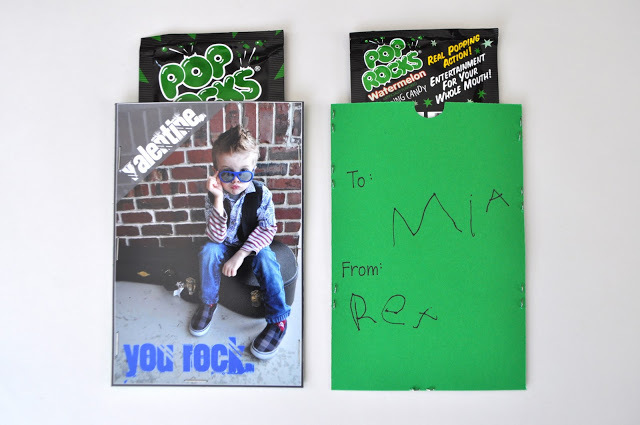 This could be a perfect option for your little man. 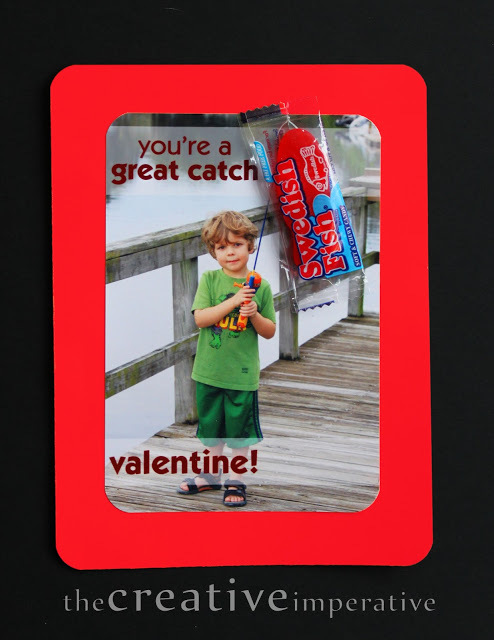 You could either attach a fish as seen here, or just put the caption on a cute picture of your little fisherman. Hand out with a bag of swedish fish! 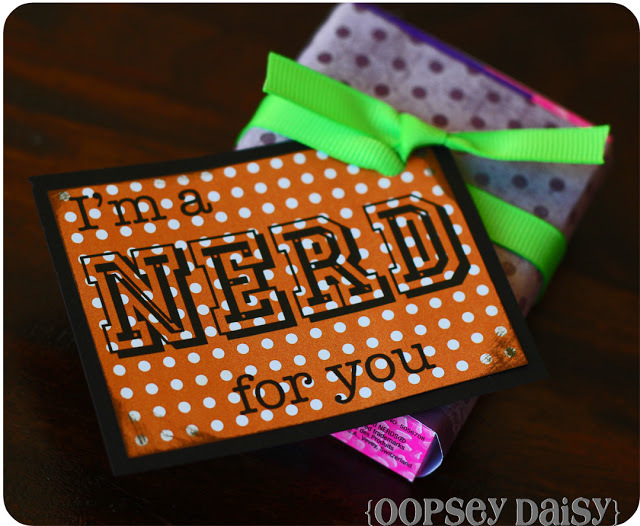 You could have a lot of fun doing a little nerd or geek shoot- thick glasses, suspenders, and knee socks! Attach to a box of nerds and you’re done! 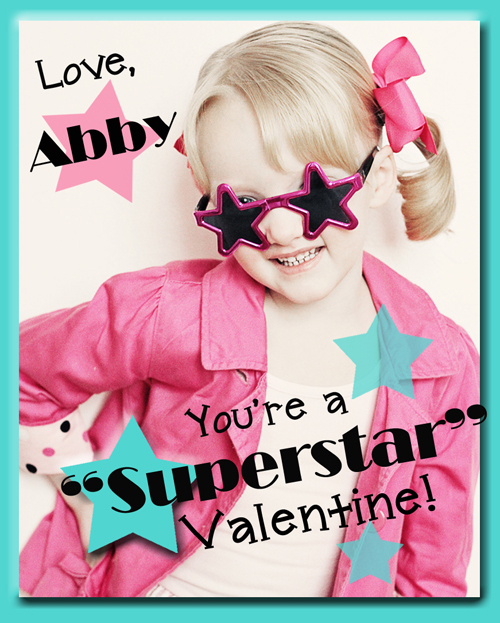 Star Sunglasses make a great prop for a stylish shoot. Hand out with some starburst! 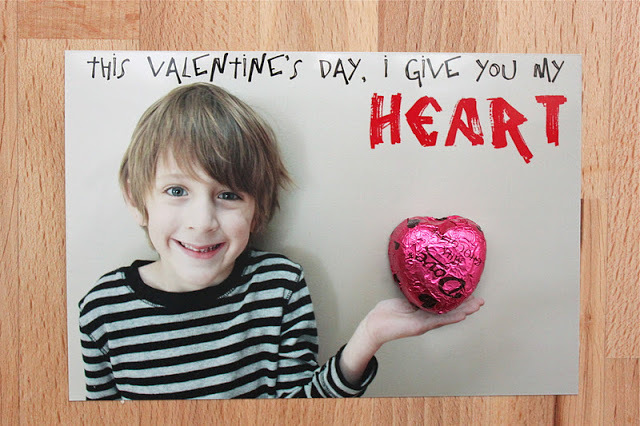 This example uses Dove candy, but any heart-shaped candy in a wrapper would work here. 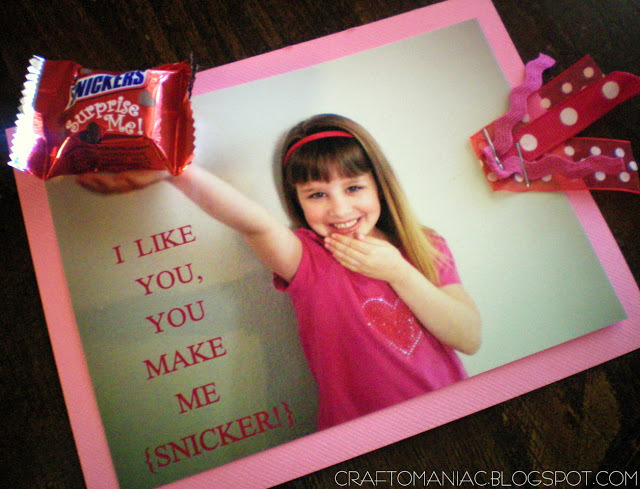 Hopefully you got some great ideas to help you with a Candy-themed Photo Valentine. Your holiday will be so sweet!